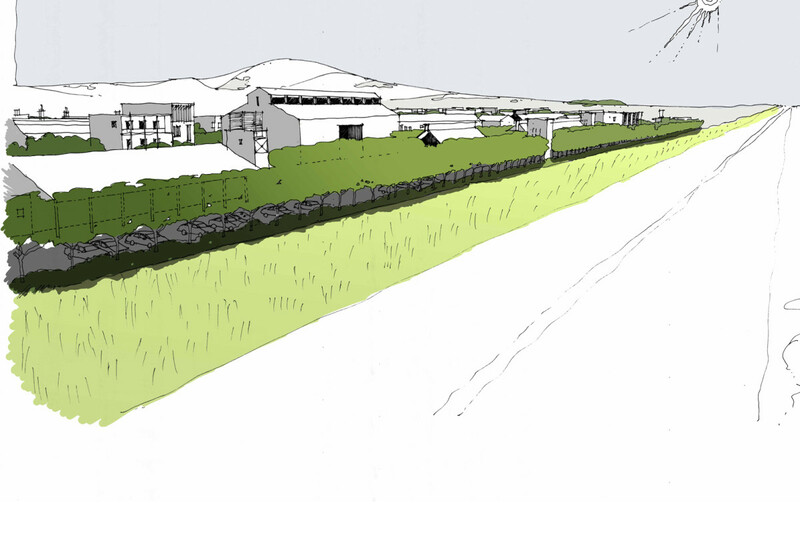 Fairvalley Eco Village was conceived as an affordable housing-driven eco-estate. The integrated urban design framework was developed through an iterative design process, driven by sustainability principles. 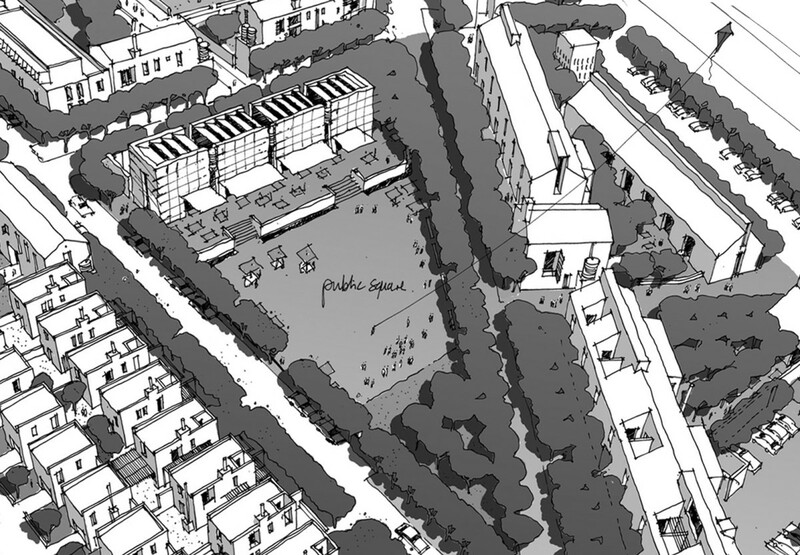 The enquiry-by-design process involved a client body which included farm workers who were given a stake in the development. 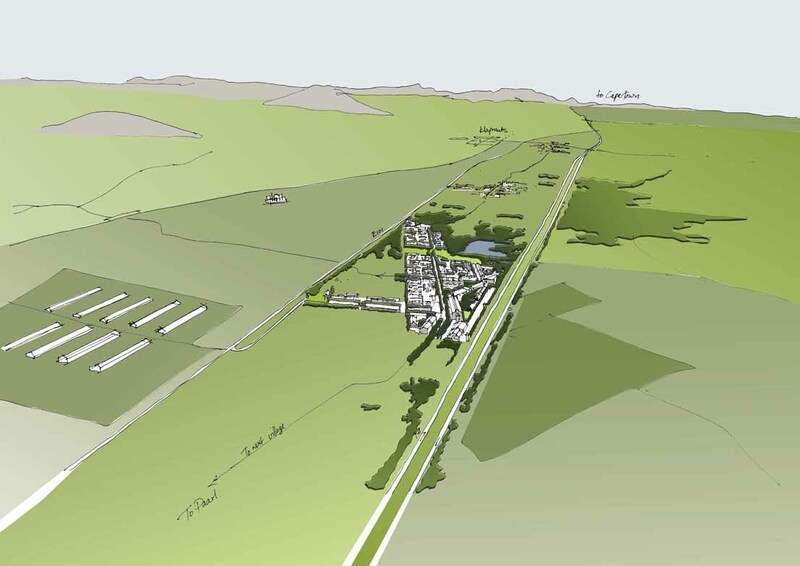 Despite its semi-rural location, the development is centred around the need for high environmental quality within a higher density development along a transit corridor linking Paarl to Cape Town. 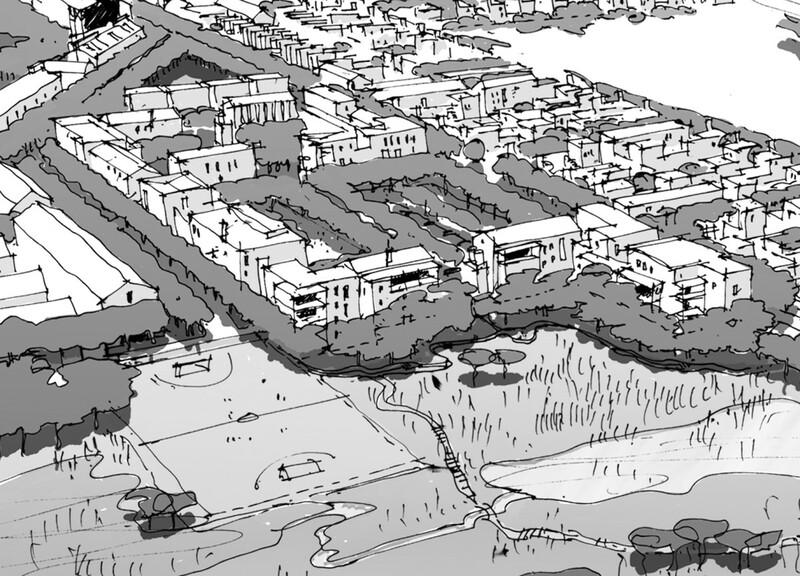 The development is conceived as a ‘bead’ of density within a string of similar developments along the corridor. 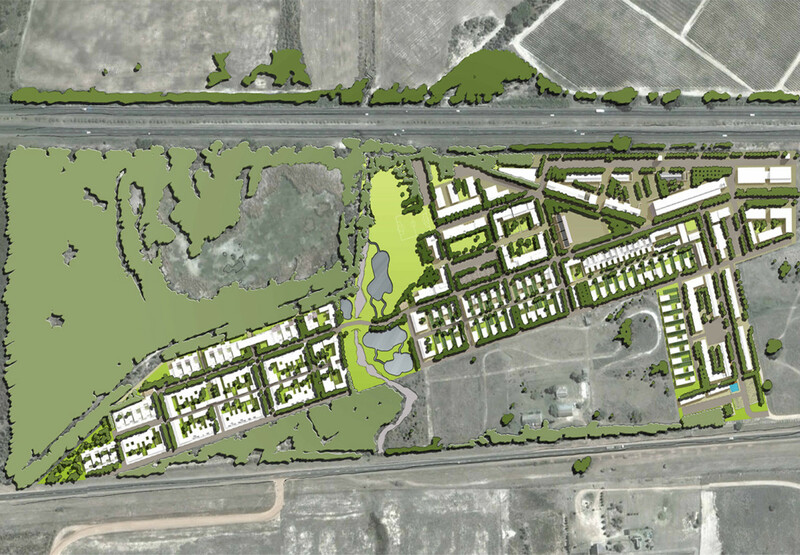 Click here to view a relevant article, extracted from Architecture South Africa March/April 2009.